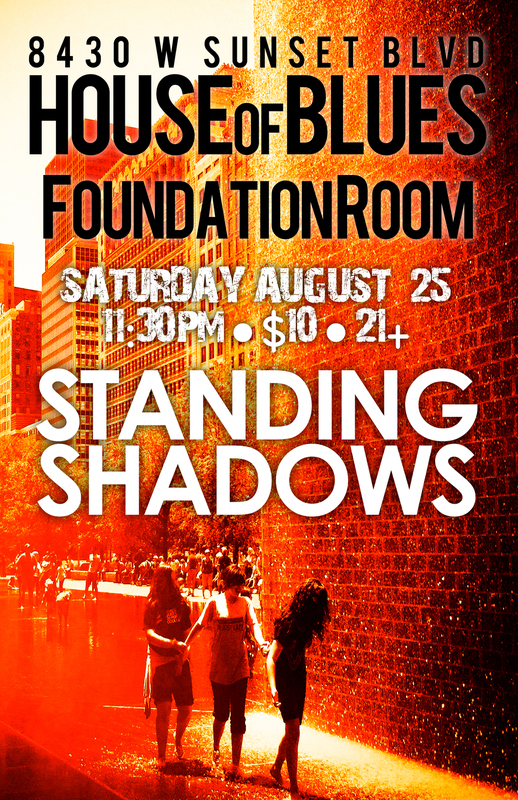 Note: STANDING SHADOWS will be playing at THE ROXY THEATRE with special new guests on stage SATURDAY, JUNE 30th! We will be releasing our all new Remixed // Exclusive album! Special flyers will be available at the show with a link to receive a free song off the new album! Also, come witness the LIVE DEBUT of our brand-new epic song "Walking Out"!! !